SUMMARY: After 86 years United Technologies Corp. (UTC) says good bye to $US 7.5 billion a year Sikorsky Helicopters as it sees a ‘rough’ future for its helicopters, and sells it for $US 9.0 billion to Lockheed Martin (which will benefit from $US 1.9 billion in tax benefits). With no wars to fight right now, the US Dept. of Defense (USDoD) is slashing its budget, and military helicopters are on its list, at the same time low oil prices have created a soft market from offshore helicopter operators (80% of Sikorsky’s commercial market), and in a perfect storm Sikorsky’s 3 main products (UH-60 Blackhawk, S-76D and S-90) struggle for new orders as backlogs diminish. Sikorsky has lots of new projects for the future like the S-97 Raider and the JMR Technology Program Demonstrator, but right now things are not good, 2014 showed revenues of $US 7.5 billion but only a $219 million net profit (2.92% profit margin), how Lockheed Martin will revive Sikorsky is a mystery (the global military and civilian helicopter market is worth $US 30 billion a year but in decline today), unfortunately many of the 15,264 workers at Sikorsky will be affected soon. The sad reality is that the large helicopter segment, cannot make money on commercial orders alone (only 30% of Sikorsky’s sales), the industry needs global conflicts (aka “wars”) to drive military sales (aka “military industrial complex”), unfortunately without war there are no profits in the large helicopter segment. Sikorsky is not alone, Airbus Helicopters and AgustaWestland are seeing the same and even Bell Textron now, as it is about to enter this segment with its new and largest helicopter yet, the Bell 525 Relentless, timing could not be worst. The USDoD is off course happy to see Lockheed Martin buy Sikorsky, and it will be interesting to see how this acquisition transforms the company over the coming years as it is a stranger to the civilian commercial market, and I am sure we will see more M&A activity in the aerospace industry in the next 1-2 years as US military spending comes down even further, and USDoD contract dependent companies struggle to grow and maintain profitability. After several months of reviewing its options for its Sikorsky helicopter business, United Technologies Corp. (UTC) (UTX.N) has decided to sell the 86 year old division to Lockheed Martin Corp. (LMT.T) for $US 9.0 billion ($US cash and $US 8 billion in new debt) and $US 1.9 billion less due to tax benefits. In one move, a combining of the F-35 fighter jet, C-130 Hercules and the UH60 Blackhawk helicopter, 3 major military programs, each struggling in their own way. The industry is changing, we to refer to this sector as the aerospace and defense industry (A&D), but with the rise in the commercial aviation sector, the defense side has been to a degree marginalized over the years by the growth of commercial aviation, for instance at Boeing, around 65% of revenue is commercial aviation, at Airbus it is around 73%, so they are in fact aerospace companies with businesses in the defense sector. Then you have companies like Lockheed Martin that have around 80% of its revenue in the military/defense industry, so a defense company that builds F-35’s fighters, but no commercial aviation side, Sikorsky will be a whole new ball game for a company that builds very expensive military aircraft over budget in low volumes and now helicopters that have lots of competition, where price is key to success and you can’t go to the government for money when you miscalculated your costs. Yes. Lockheed has marketing power but it is a platform manufacturer and system integrator very much focused on military unmanned aerial vehicles (UAV) as the future , while manned helicopter manufacturer Sikorsky, has a commercial/civilian business that is predominantly the oil and gas industry that is having a hard time with oil below $US 60 per barrel and heading below $US 50. Already talk of “rationalizing” the workforce, means lay-offs as Sikorsky will be cutting back on S-76D and S-92 production, while it waits for the “planned” $US 23+ billion the DoD plans to spend on the new heavy lift CH-53K, $US 15 billion on Blackhawks, $US 9 billion on Air Force Rescue helicopter, $US 5 billion on the Presidential VIP new helicopters and $US 1 billion Seahawks, all subject to Congressional funding approval, which these days is not easy in Washington. But with 0ver 65% of the DoD’s planned future expenditure on helicopters, the future still lays with military orders, which today account for 70% of Sikorsky’s revenue. The $US 30 million Sikorsky S-92B (ABOVE Left) and the $US 14 million S-76D (ABOVE Right) are the only civilian helicopters built by Sikorsky today. In 2014, Sikorksy delivered 17 x S-76D’s, the lowest production of the type since 2002, while it delivered 42 x S92’s, the highest production for the type yet. The commercial helicopters produced $US 3.0 billion or 30% of the $US 7.5 billion in revenue at Sikorsky in 2014, on these 59 deliveries, plus support, maintenance, etc. for the global fleet. This light heavy and heavy segments of this industry is very dependent on off shore oil and gas, in Sikorsky’s case 80% of it’s sales. 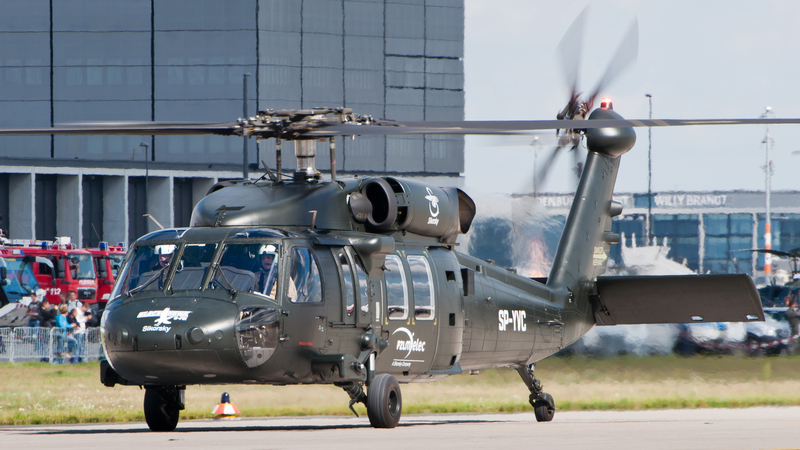 No wonder the order book is drying up, NO S-76D were delivered in 1Q/2015 , and only 5 x S92’s, that says novels about the state of this industry today, not just at Sikorsky but also at AgustaWestland and Airbus Helicopters as well, and even at Bell Helicopters now in the process of certifying its largest helicopter the Bell 525 Relentless. Sikorsky has been struggling after the wars in Iraq and Afghanistan slowly comin to an end, it’s military helicopter sales are roughly 70% of revenue ($US +/-4.5 billion in 2014) on 172 helicopters, and its commercial helicopters generated 30% of revenue ($US 3.0 billion) in 2014 on 59 helicopters. The problem is both segments are struggling, the military side (mostly the UH/S-60 Blackhawk) is mostly US DoD orders and that is steadily decreasing and on the commercial side, 80% of past deliveries are for the oil and gas industry, which is in deep trouble with low oil prices, and Sikorsky only has 2 models ($US 30 million S92 and $US 14 million S-76D) both very expensive and both struggling. Recently Sikorsky downgraded its forecast for its civilian helicopter revenue in 2015, initially expecting 5% increase, it is now expecting a decline of 20%, a sure sign that the large helicopter market is in BIG trouble, in no small part thanks to the huge drop in oil prices which has negatively affected the offshore oil & gas industry, which relies on the big helicopters for air transport to and from the large oil drilling platforms all over the globe. The Saudi strategy is to get rid of the high cost producers in the industry, which are the fracking, tar sands and off shore producers, as they know they cannot survive for too long with oil prices below $US 50 per barrel, and already many projects have been delayed or cancelled and only existing platforms continue to pump oil, while half the fracking sites are now closed down. This has a big effect on the operators who make their living supporting the off shore oil platforms, with the largest being Houston based Bristow , valued at $US 2.7 billion and $1.0 billion in CAPEX on 47 new helicopters this year alone (average of $US 21 million per helicopter) and with 276 helicopters in service today. The big savior for some has been the SAR (search and rescue market), with operators like Bristow having won a 10 year $US 2.7 billion contract from the UK last year. The other big 3 offshore operators are CHC Group of Canada with 33 new helicopter son order and the US company ERA Group with orders for 20 this year. Stock market valuations of the offshore operators are down, and a big question mark about future deliveries, defferals or cancellations. 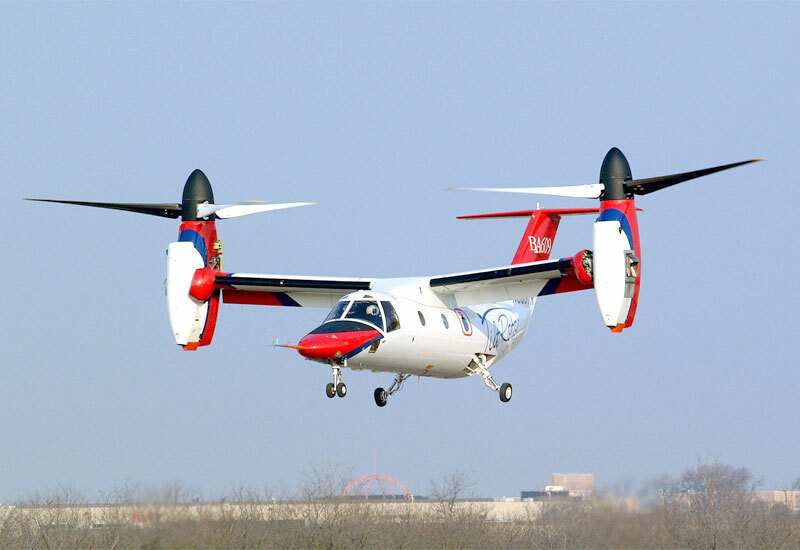 Since early this year, UTC has been looking to offload Sikorsky, which became part of its predecessor United Aircraft and Transport Corp. in 1929, and because it has held it so long, the gains UTC has experienced from owning Sikorsky so long ,would have inflicted an estimated tax bill of $US 3.0 billion upon its sale. The company has seen that the next few years are going to be tough, and now its Lockheed’s problem, and I do not believe they will do any better than UTC with Sikorsky, in fact the opposite. At this point, nothing has been said about this tax, but it was a key part of the divestment valuation for UTC, and how to deal with it through either a sale or a spinoff that was proposed by Textron as a Reverse Morris Trust (RMT) where UTC as the parent company could sell its subsidiary while avoiding the large tax bill. As it looks now with the LM acquisition of Sikorsky, there will be a large tax bill of some sort for UTC, so it will not be a net $US 9.0 billion deal for UTC. Latest on that subject is that Lockheed will really pay only $US 7.1 billion as it will receive $US 1.9 billion in tax benefits since the deal is an asset purchase for tax reasons, accountants are always a must in these deals. This was a tough decision for UTC, not only has Sikorsky been part of the family for 86 years but it is a good business (11.5% of UTC’s total revenue), with revenue of $US 7.451 billion (up 19% over 2013) in 2014 (UTC revenue in 2014 was $US 65.1 billion), and forecasted to reach $US 10.0 billion by 2015 so why the sale ? In short, military cut backs by the US Dept. of Defense have reduced military sales, now and into the future and the helicopter manufacturers have not been able to figure out how to survive with the absence of war. The helicopter OEM’s need conflict to drive military sales, the classical military industrial complex (the policy and monetary relationships which exist between legislators, national armed forces, and the arms industry that supports them) in short to drive military sales you need to create conflict, and the US has done that well since 2001 with Iraq and Afghanistan, but now there is no war, other than on ISIS and that does need lots of new helicopters, fighter aircraft and warships., therefore companies like Bell, Sikorsky, Airbus Helicopters suffer. No wonder that UTC started thinking of off-loading Sikorsky in 2010 as the wars in Iraq and Afghanistan were coming to an end and the boom in military helicopter sales was also coming to an end, sad that we need to have war for these companies to make money. The Sikorsky UH/S-70 Blackhawk helicopter, is Sikorsky Helicopter’s “cash cow”, its “bread and butter”, with over 3,600 of these helicopters in military service throughout the world (#1 military helicopter by units in the world), and 172 delivered in 2014. But US DoD cut backs after the wars in Iran and Afghanistan make this market segment tough as well now, and since it produces 70% of Sikorsky’s revenue of $US 7.5 billion (2014), this is probably the BIG reason for the sell-off by UTC. Seems large helicopter OEM’s need military conflicts to drive sales, no wars, no orders. They need a sustainable business model that make them profitable in times of peace, and not only when young men have to die for some lame excuse for war. While commercial sales are down especially for the large offshore helicopters that Sikorsky (S-76D, S92), Airbus Helicopters (EC225, AS 332, EC175) and Agusta Westland (AW189) produce (only 11 in 1Q2015 vs 16 in1Q2014, a reduction of 31% in deliveries), as oil prices plummet and shows no sign of increasing, especially with Iran coming back to export freely its vast oil reserves and production. 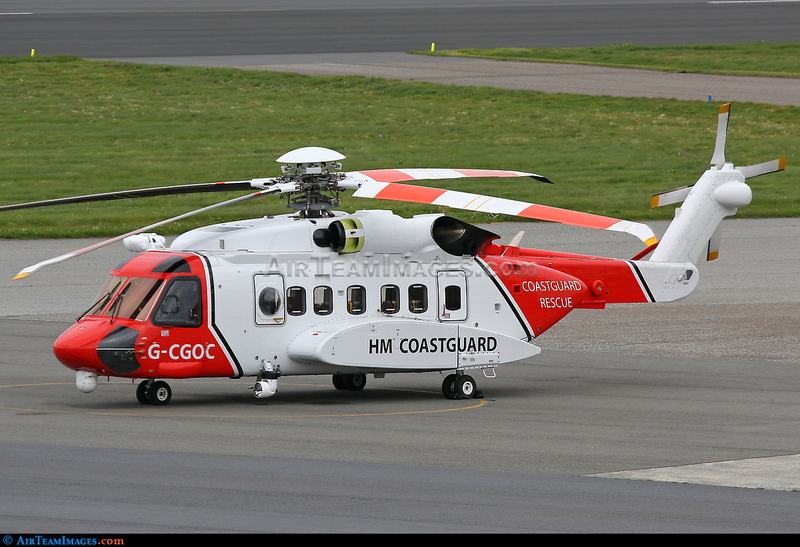 It should be pointed out that the S-76D took 9 years to develop, certify and deliver, and that was on top of having the S-76A/B/C models already certified years before, it was only in 2014 that the first helicopter was delivered to Bristow Group. It was the 10th make over of the S-76 since it was introduced in 1979 and still has lots of ife left in her. The 28 x CH-148 Cormorant (military S92’s) are finally being delivered to the Canadian military, after many years of delays and set backs since the order was signed in 2004 ! a real disaster this acquisition has been for Canada, and coupled with the 9 year certification and development of the S-76D, things have not been going well at Sikorsky, it all points to bad management, then add in the small Schweizer Helicopter acquisition and the poorly thought out stake in Eclipse Aerospace and its very light jet, once wonders what heck has been going on at the UTC subsidiary. The company produces the very successful UH-60 Blackhawk combat helicopter that today is the #1 military helicopter in the world with 3,600 units in service (18% of the global military fleet), with #2 being the Mi-8/17 at 13% (2,441 units) of global total, and has over $US 49 billion in US Department of Defense orders alone since entering service. Pratt & Whitney, revenue in 2014 was $US 14.5 billion, operating profit $US 2.0 billion (13.8% operating margin), with 33,591 employees. UTC Building & Industrial Systems, revenue in 2014 was $29.8 billion, operating profit $US 5.4 billion (18.1% operating margin) with 118,369 employees. UTC Aerospace Systems, revenue in 2014 was $US 14.2 billion, operating profit $US 2.4 billion (16.9% operating margin) with 42,550 employees. UTC Climate, Controls & Security, revenue in 2014 was $US 16.8 billion, operating profit $US 2.8 billion (16.5% operating margin). Otis, revenue in 2014 was $US 12.9 billion, operating profit $US2.6 billion (20.3% operating margin). UTC generated 35% of its revenue from commercial aerospace, 20% from military aerospace and space and 45% from commercial and industrials in 2014. The regional breakdown was 38% of revenue from the USA, 27% from Europe, 20% from Asia/Pacific and 15% other. 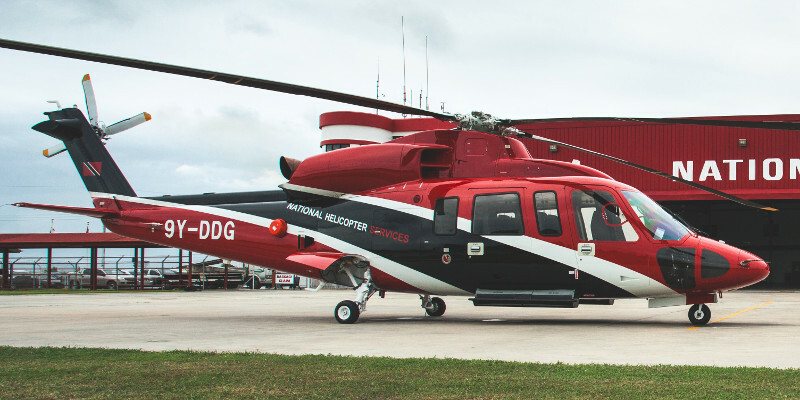 The whole helicopter industry is struggling right now, as the high end large helicopters, mostly in support of the oil and gas industry are struggling for new orders as oil prices languish around $US 50 per barrel. The headwinds are hurting all helicopter OEM’s right now that compete in the large helicopters, Sikorsky has the $US 13.0+/- million S-76D and the $US 27.0+/- million S-92, both are struggling to gain orders. In 1st quarter 2015, Sikorsky delivered only 5 x S92’s, while it delivered 12 (S-76D’s and S92’s) in 1st quarter 2014, this resulted in a profit drop of 11% for the quarter and 1,400 job cuts. In 2014, Sikorsky delivered 59 commercial helicopters (17 x S-76D’s, 42 x S-92’s), this was the lowest S-76 delivery since 2002 and the highest S-92 deliveries. Meanwhile another 172 military helicopters were delivered in 2014 (S-70’s and the larger C-53 heavy helicopters), or 231 helicopters (average of $US 32.2 million per helicopter), while in 2013 Sikorsky delivered 231 helicopters as well (26 x S-76D’s, 37 x S92’s and 168 military helicopters (average of $US 26.1 million per helicopter). 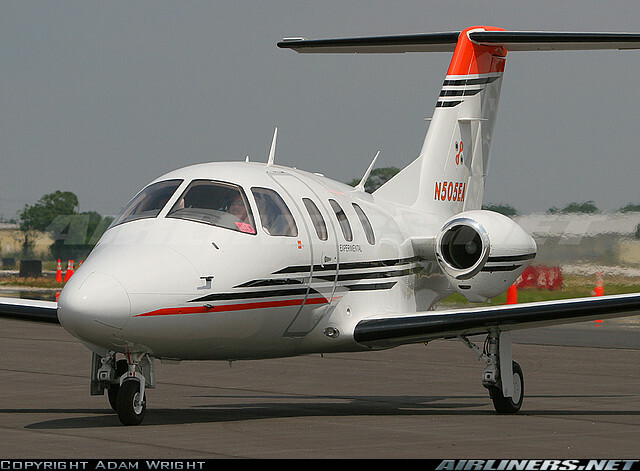 It has been obvious to me that Sikorsky lost its way a few years back when in 2010 Sikorsky invested in the failed Eclipse Aerospace program and its EA500 light jet, taking 42% of the company, this was way outside Sikorsky’s business, what were they thinking ? Anyway they got out in April, 2012 and now that never ending program continues with 12 deliveries in 2014 of its EA550 model, and most recently the company merged with Kestrel Aircraft (K-350 turboprop), to form One Aviation, OMG, in this case 1+1 = 0.5, more on that disaster in another blog. Sikorsky in my opinion went off the rails in 2010 when it decided to join the revived EA500 (TOP Left photo) program of Eclipse Aeospace, to take a 42% stake in a failed small jet program was a seriously flawed strategy, it really had no direction other than getting its Polish subsidiary a little bit of sub-contracting work. Luckly the company pulled out in 2012, and in 2014 only 12 x EA550 jets were delivered, and now it has merged with Kestrel Aircraft, and struggling single engine fast turboprop program to create One Aviation with two struggling programs, really ? The other diversion was the acquisition of Schweizer helicopters in 2004, and producing very small piston and turbine helicopters like the 300C (TOP Right photo). It’s bets year was 2007 when it delivered 70 Schweizer helicopters with revenue of maybe $US 40 million ! really ? 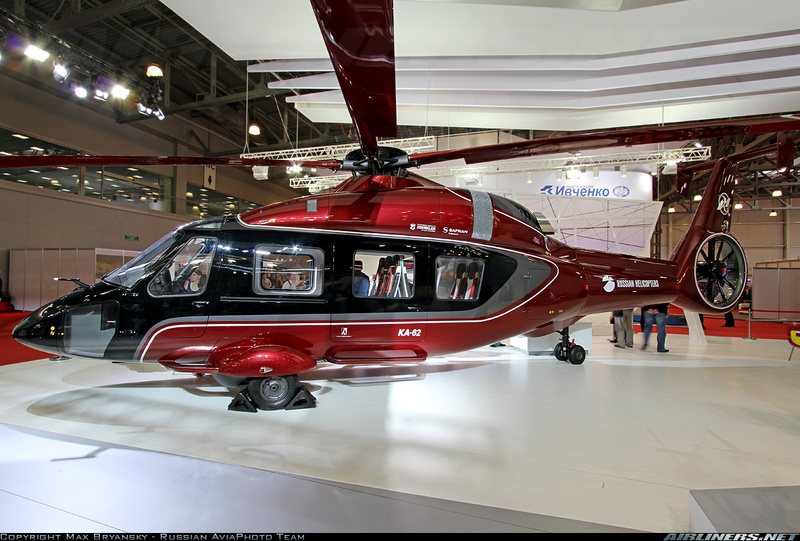 Anyway, Sikorsky shut it down this year, and will sell it, probably the Chinese that own Enstrom Helicopters (USA). These 2 cases showed that there was little direction at Sikorsky as to where it wanted to go, and it stayed a 3 helicopter product company (S-76D, S92, UH-60), in 2 segments, military and oil/gas, that everyone knows fluctuate up and down with politics and the price of oil, which go hand in hand most of the time. Then this March, 2015, Sikorsky pulled the plug on its Schweizer light helicopter line that it acquired in 2004, a business that at its peak in 2007 delivered 70 helicopters (11 x 300C’s, 51 x 300CB’s and 8 x turbine 330/333’s, at best $40 million in sales). By 2009 that production was down to 27 deliveries (10 x 300C’s, 13 x 300CB’s and 4 x turbine 330/330’s or roughly $US million 15 in sales). The S434 line was closed after Saudi Arabia returned its few units, and there is still a aftermarket to support and maintain 2,800 the Schweizer/Hughes 300’s worth $US 10 million per year. 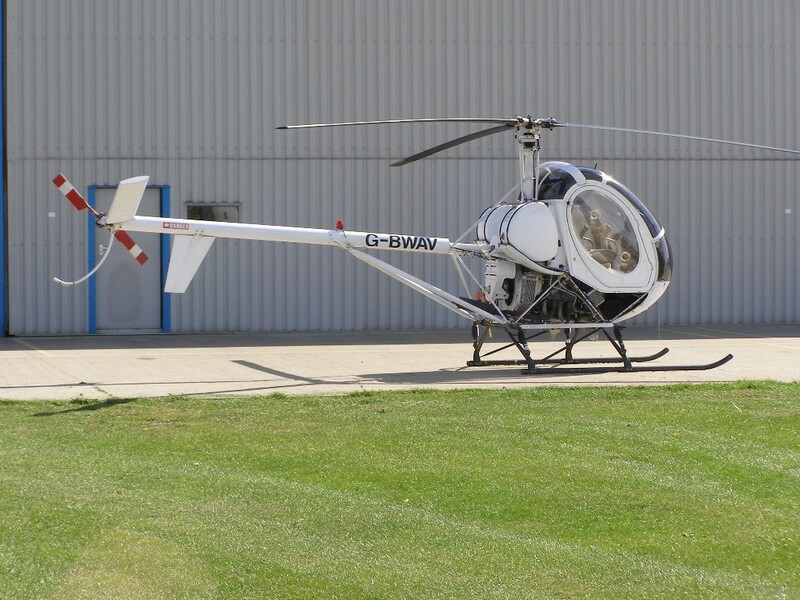 Anyway, that will be very attractive for a Chinese buyer, especially Enstrom Helicopter’s (USA) owner Chongqing Helicopter Investment Co of China. So now what for Sikorsky, and by the way, I worked a bit with Sikorsky many years ago, got to meet Sergei Sikorsky the son of founder Igor Sikorsky and a real beloved icon in Russia today, I wonder what he thinks of this deal at his age (90), he has seen it all in this industry for sure. Anyway, for UTC to divest of Sikorsky is not a good idea, it was opposed by former CEO Louis Chenevert who departed UTC earlier this year (with a departure package of stock options and deferred compensation worth $US 195 million), and a good friend of Bombardier’s CEO Alain Bellemare. The company has a lot on the go for a brighter future, and needs to ride this time out, but it is without a broad product line, and maybe a merger with Bell or Textron would have been a better option for it. This year, Airbus Helicopters went after the UH-60 Blackhawk’s business very aggressively, and won in Poland for up to 50 H225M Caracal’s even though Sikorsky has plant at Mielec in Poland producing S-70i’s ! and now Mexico is set to sign for 50 H225M Caracal’s (previously known as EC725) and has orders from Brazil (36), Indonesia (5) Thailand (6) and 60 in service already in France, Brazil, Malaysia and Mexico beating the S-70i again and again, so the tide is maybe shifting against the UH-60 Blackhawk ? Sikorsky is an integrator and that is not a bad thing to have in a company that manufactures sub-systems and components. The company has many programs on the go, support for 500+ H-60 Seahawks with a JV with none other than Lockheed Martin, it has the new S-97 Raider, a coaxial helicopter (like the Kamov KA-32) but with a pusher prop with possible speed as high as 440 km /hr (238 kts). Sikorsky and Boeing Compete with Lockheed and Bell on the JMR technology program demonstrator, where the SB-1 Defiant is in a battle with the V-280, 1st flights are to be in 2017 and the winner, in the end may replace existing S-60’s and AH-64 Apache’s in the coming years. While the heavy lift CH-53K enters flight testing this year, with lots of potential in its segment. The company faces many new challengers to its market today. On the military side, the competition is fierce, but thanks to large US DoD orders, it is dominated by US OEM’s, while Russian Helicopters carves out a niche in the low cost and yet robust segment. The CH-53K faces the V-22 and the CH-47F, while the UH-60 faces the Mi-171, AW149, AS532, H225M, NH90TTH, while the MH-60R (Naval version) faces the AW159, AS565MB and NH90 NFH. In the commercial market, it is really a tough market, especially in the high end where there are now 2 new products in the 8 to 9 ton light heavy segment, the Bell 525 Relentless (1st time for Bell in this segment) and the AW189, while there is still the EC175 and AS332. Note: Bell’s new 525 could not have come out at a worst time, it will struggle with orders, as the oil and gas industry, especially the offshore business, is a high margin producer and at today’s oil prices, that segment over the next 2 years at least will struggle and tough times are ahead for the helicopter operators supporting this segment. In the 10+ ton heavy segment, the S92A/B faces the EC225, Mi-17 while in the 5 to 7 ton medium segment the S-76D faces the AW169, Ka-62, AW139, EC155. Some of the new helicopters to the market, the Kamov KA-62 (Top Left), AgustaWestland AW609 tilt-rotor (Top Right), AgustaWestland AW189 (Bottom Left) and the Bell 525 Relentless (Bottom Left). These helicopters are all fighting each other in that $US 15 million to $US 30 million market segment, mostly for the offshore oil/gas helicopter operators, but that market is in a free fall with oil prices going down below $US 50 per barrel, so tough times for all helicopter OEM’s in the market for sometime. So Lockheed Martin will have a lot on its plate to turnaround this helicopter icon, let’s hope that Sikorsky has a long future ahead of it. Again thanks for reading my blog, and comments welcome, cheers. « MAYDAY ! As if the situation was not bad enough at Bombardier following the Paris Air Show, where NO new orders for any of it’s 3 commercial aircraft were announced, and this week, it’s stock (TSX:BBD.B) hit a 22 year low at $C1.90 per share, down 49.3% in the past 12 months, and down 61.3% in the past 5 years ! another 49% drop and its a “penny stock” (<$C1.00). Meanwhile market capitalization of the company is now at an extremely low $C 4.3 billion for a company with $US 20+ billion in revenue. The latest bad news was that there is a "review" and a 18+ month delay in the new Global G7000/G8000 business jet programs. The Global brand is Bombardier's "cash cow", it is the light at the end of the tunnel today, as it provides the best margins, 60% of business jet revenue, 43% of Bombardier aerospace revenue with just 27% of total aircraft deliveries, trouble there means bigger troubles for the whole company, especially now. The ultra-long range business jet segment is weakening all over the world, new competitors are coming in like the new Gulfstream G500/G600's and Dassault's 8X and 5X, while the current Global G5000/G6000's badly need a "revamp" (e.g. Challenger 300 to 350 and 605 to 650), but everything is on the back burner these days because of the CSeries, a program that has changed the company for the worst, and a program that may yet destroy the company directly or indirectly in the end. Yet they want to stretch it into a 160 seater (CS500) and go toe to toe with Airbus and Boeing in the largest and most contested and price discounted aviation market segment today, the single aisle narrow-body, which will be joined by the Comac C919 and Irkut MC-21 in the next 5 years ? oh boy ! The Republicans will go out and spend more on the military, but will need conflicts, low level and the usual superpower tensions with Russia and China. Thank you for that comment, you are right on. I think in 5 years Us defense budget will grow again, specially if republicans win. There is a war to be and it is with rising China or russia unless of course these countries can soon find a common ground. Things can get hot in the south China see or Ukraine really fast. Specially with China aiming for reserve countries status, the US can simply not let its dollar get weaker. TPP and other trade agreements will help keep USD currency circulate outside its borders but if it’s not effective things will get bad fast. So long term this is probably a steal for buyer.